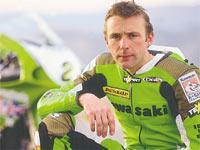 Steve Plater will join Simon Crafar in the Virgin Yamaha squad next season. Team boss Rob McElnea swooped for the 31-year-old after losing James Haydon to Carl Fogarty’s Petronas WSB team. Plater said: " It’s the best Christmas present I’ve ever had. I’ve been out of work since May and it was difficult for me jumping between rides at the end of the season.
" This is a great chance for me. I know all the guys in the team after doing a few races with them last season and I know they’re a good bunch. I had a few options open to me but you’ve got to do what’s best for your career. It’s great to be sorted out before the holidays. I just can’t wait to get testing. " Plater will get his first taste of the team’s new R1 when they start testing at Almeira, Spain, in late January.